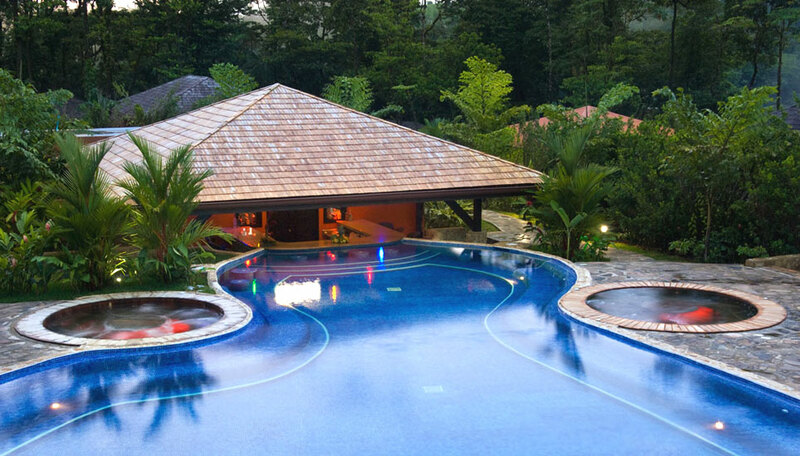 Rio Celeste Hideaway is perfect for exploring Costa Rica’s pristine rainforest on foot, by raft and on horseback, watching wildlife and enjoying the facilities of this pleasantly relaxed boutique hotel. On the foothills of Tenorio Volcano, adjoining the Tenorio Volcano National Park in the northern highlands. Rio Celeste Hideaway is open year round. 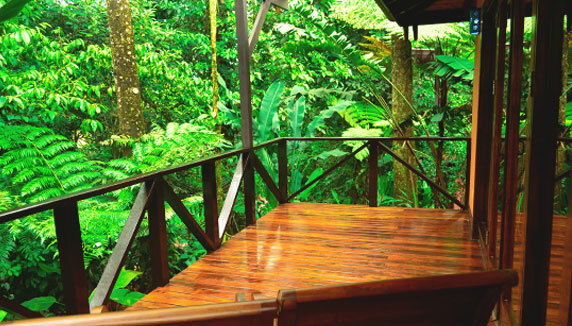 Set in the midst of lush rainforest this small hotel consists of 26 self-contained casitas providing secluded accommodation with 21st century mod cons including lovely outdoor showers. 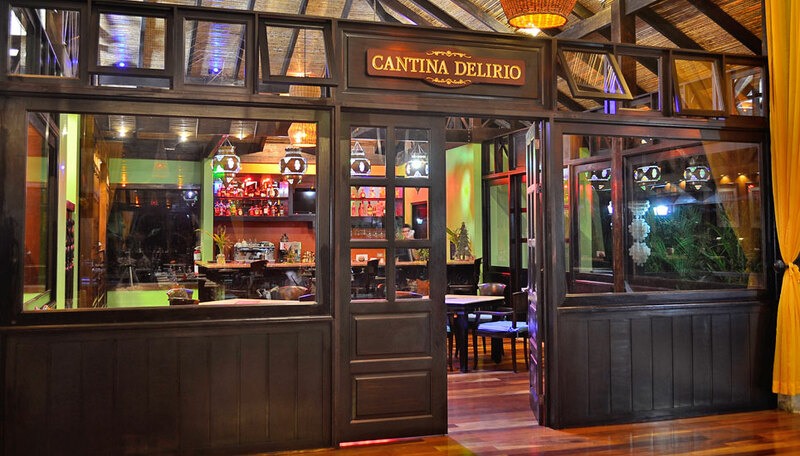 The emphasis is very much on nature, and you’ll be encouraged to stroll in the orchid and bird-filled gardens, follow the walking trail down to the cobalt-blue Rio Celeste, the river after which the hotel is named, as well as venture into neighbouring Tenorio Volcano National Park. Other attractions include hanging bridges, horse riding trails and hot springs, adding up to a lively and varied holiday. The hotel offers chances to unwind, with a spa, swimming pool with swim-up bar, yoga platform and a restaurant serving tasty, nourishing food by a pond filled with colourful koi carp. 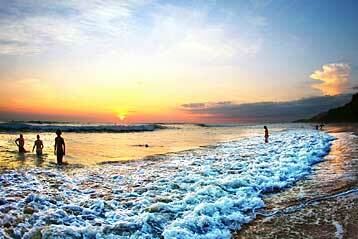 Why go to Rio Celeste Hideaway? Costa Rica is famous for its biodiversity and at Rio Celeste hideaway you’ll be able to experience this for yourself as you hike through the rainforest, gaze on cascading waterfalls and blue river lagoons, enjoy the thrills of white water rafting and look into the forest canopy from a suspended bridge 50 metres above the ground. All this activity and adventure is balanced by downtime at the hotel, sunbathing by the pool, chilling in the spa, walking in the gardens and sampling freshly prepared food at the open air restaurant. 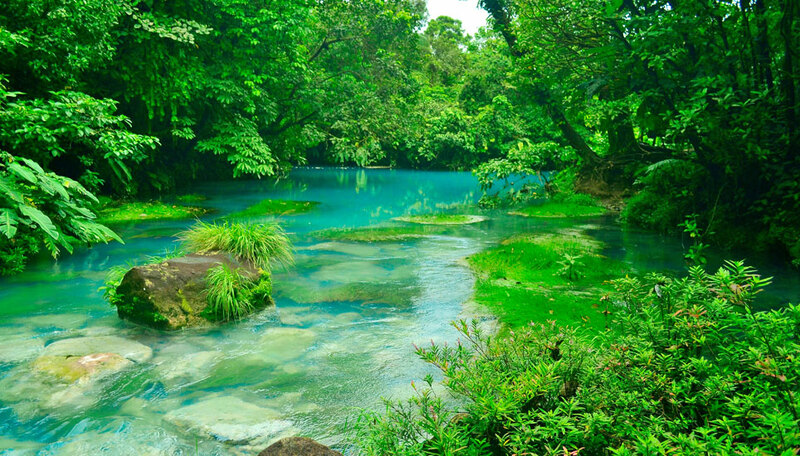 The rainforest that encloses Rio Celeste Hideaway is a bird watcher’s paradise. Toucans, tanagers, hummingbirds, parrots, woodcreepers and tody motmots are frequently observed. Monkeys, sloths, coatis and iguanas are commonly sighted too, and crocodiles are found on riverbanks. Accommodation, daily breakfast, use of on-site facilities, phone calls to the USA from the reception area. There are 26 self-contained casitas, or bungalows, made up of 16 standard casitas and 10 larger casita suites. 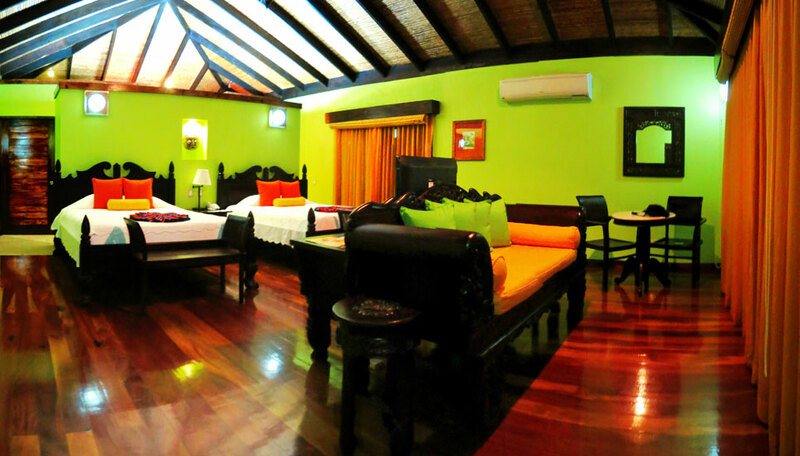 All have been designed to offer comfort, independence and seclusion, separated from each other by lush tropical gardens. All are air conditioned, have either 1 king size bed or 2 queen size beds, bedside tables and lamps, cable TV with DVD and internet access, en-suite bathroom with shower and toiletries, and a private courtyard with an outdoor shower. Standard casitas have picture windows with views of the gardens, and casita suites have spacious balconies with comfy chairs overlooking facing the forest. Suites also have an iPod dock, small fridge, coffee maker, sofa and a Jacuzzi bathtub and twin hand basins in the bathroom. Casitas with a king bed (12 in all) sleep up to 2 adults, and those with 2 queen beds (14 casitas) accommodate up to 3 adults, 3 adults plus 1 child under 12 or 2 adults plus 2 children under 12. 2 of the casitas offer complete access for guests with special needs. Children of all ages are welcome. Those aged 5 years of age and younger stay free when sharing with parents. Queen–bedded casitas make good family accommodation. There is free Wi-Fi in the social areas and is some of the casitas.